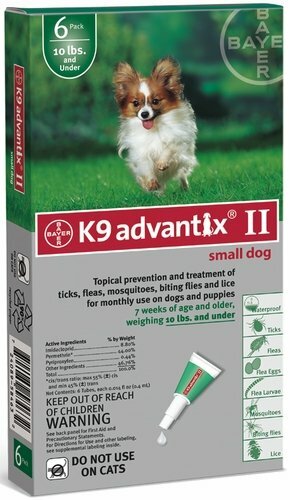 K9 Advantix II Topical Prevention And Treatment Of Ticks, Fleas, And Mosquitoes For Monthly Use On Dogs And Puppies 7 Weeks Of Age And Older. 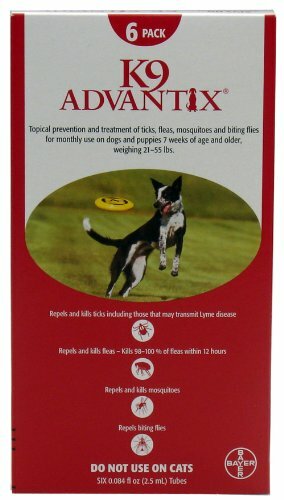 Repels And Kills Ticks Including Those That May Transmit Lyme Disease. Dog sizes 4-10#.